The brewery was founded in 2000 by 4 brew-engineers, after being graduated from the best known brewing school of Flanders. Their names: Kristof De Roo, Rikkert Maertens, Stefaan Soetemans and Sven Suys. Just out of University, it was soon pretty clear to them that brew-master jobs are not easy to find in the Belgian beer world. Family traditions and brewing secrets are kept closely guarded within the brewing family. Like the real French Musketeers of the 18th century, the 4 friends bundled their enthusiasm and efforts, and created "the Musketeers brewing company". After investing in some brewing equipment, many experiments in the ‘garage’, and several "try and errors", the result is a great beer that all 4 brew-masters loved and believed in: a semi-strong blond. The first phase of the big dream had been accomplished. The challenge now was to produce the beer commercially and get people drink it in restaurants and bars. First new problem: what name to give their new creation? After many brainstorming sessions, while drinking their new godly beer, the 4 friends settled on Troubadour. The troubadours of the medieval times were young men wandering from village to village, from court to city, bringing with them joy, music, traditions, poetry, history and legends of other places. The 4 brewers believe the Troubadour beer brings the same joy and entertainment to today’s drinkers. 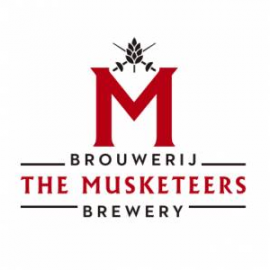 Proud of their delicious creation, the 4 brewers, or should we say 4 'Musketeers', want to extend the rich brewing traditions of Belgium not only to the citizens of Belgium, but to the rest of the world as well, just like the Troubadours from the Middle Ages.